From caroling with Island Packers to an on-water "sleigh," the town's cheerful December to-dos are plentiful. Like your season to arrive with more than a bit of splash? 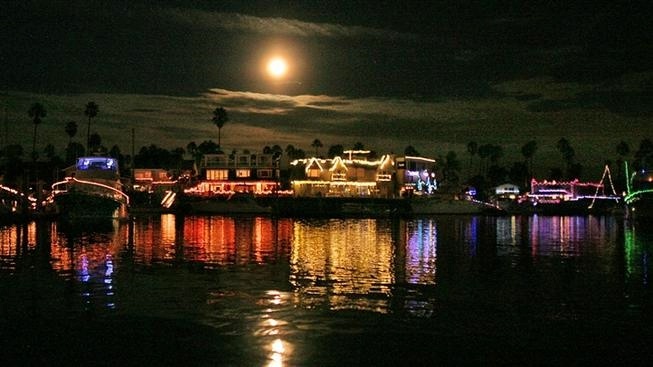 Ventura Harbor Village has a boatload of goings-on during December. WATER AND CHRISTMAS? It's not an unheard-of duo, all told. After all, those retro watery bubble lights are frequently seen on especially snazzy trees, while water shows, at theme parks and malls alike, take on the shimmery hues of red and green when the year winds down. But where to find a lot of water, as in a notable amount of wet stuff, when December draws near? Well, where water has long been found: The ocean, as in the Pacific, as in the Big Blue, as in the Great Water that laps gently, and sometimes not, at our California shores. The Big Blue does stay, well, big and blue for the twelfth month of the year — no red, nor green, required — but Ventura Harbor Village traditional offers a yachtful of festive happenings that, yes, take place around the pretty, water-cool expanse. WHAT'S YOUR WATERY WISH? Is it water-caroling with Island Packers? Is it taking a California-style "sleigh" ride with Ventura Boat Rentals? Would you like to behold the famous Ventura Harbor Parade of Lights, which grandly cruises on Friday, Dec. 14 and Saturday, Dec. 15? Or maybe you'd like to paddle alongside Santa Claus, a returning event for 2018? The Jolly Old Elf will head out on Dec. 8, and you can rent equipment to join him, if that's your thing. However you like to get your ocean on, and find your seasonal sparkle, Ventura Harbor just may have the glug-glug glee you seek. For dates, details, and the many damp 'n delightful December to-dos ahead, dip your oar into this information-packed site pronto.